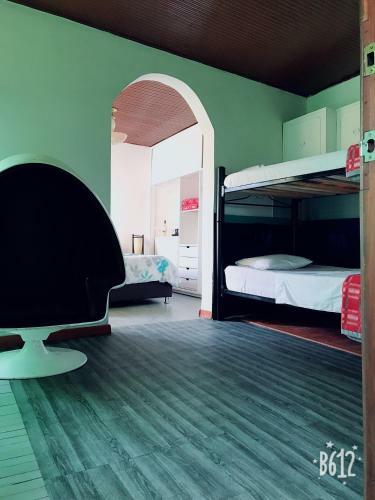 Lock in a great price for Mi Casa Hostel – rated 8.5 by recent guests! Very neat and clean. Not far from the historic center (20 min walk). About 20 min walk to the Transmilinia bus lane in case you plan to go to Zipaquirá. Small portion but good breakfast variety. 3-4 restaurants around. Secure place. Room was cosy and clean. Location is perfece.The host is very helpful,comunication was easy because he speaks english very well. The flat also have a cute terace. It was quite private we were the only guests. Felt secure. Staff were nice. The place was clean and tidy, our room was big and looked modern. The accommodation was quiet and bathroom was very clean. The hosts were so helpful, nothing was ever an issue, even got up at 4am to order us a taxi. The breakfasts are amazing! Choice of 3 different breakfasts, big portions. Nice safe area with heaps of restautants and 10min walk to large supermarket. Would highly recommend. Mi Casa Hostel This rating is a reflection of how the property compares to the industry standard when it comes to price, facilities and services available. It's based on a self-evaluation by the property. Use this rating to help choose your stay! 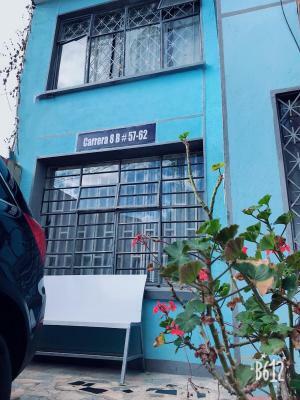 Óle Mi Casa offers accommodations in Bogota. The city's historic centre is a 25-minute walk and Plaza de los Toros square is 650 feet away. Free WiFi is available at the property. Providing a tranquil environment, rooms at Óle Mi Casa feature private and shared bathrooms. Fully-equipped independent apartments that fit 4 people are also available. Guests at Óle Mi Casa can enjoy a dining area with a minibar and a common lounge. They are offered room service and will find a communal terrace. A daily breakfast can be requested for an additional cost. Óle Mi Casa is 1,000 feet from the National Museum. The Planetarium is 800 feet away and El Dorado International Airport is 9.3 miles from the property. When would you like to stay at Mi Casa Hostel? House Rules Mi Casa Hostel takes special requests – add in the next step! Please note there is no kitchen available for guest to use. Please inform Mi Casa Hostel of your expected arrival time in advance. You can use the Special Requests box when booking, or contact the property directly using the contact details in your confirmation. Its confortable and well located. We can’t use the kitchen to cook. The windows are not soundproofed, the noise of the traffic can be a bother day and night. Kitchen was there, but guests were not allowed to use it. As a budget traveler it’s nice to be able to cook yourself. Small room. Too small bathroom. It looked much better in the pictures than in real life. Room was very small and the shower looked ridiculous squashed right next to the bed. For the price we paid I was disappointed with how basic the room was.